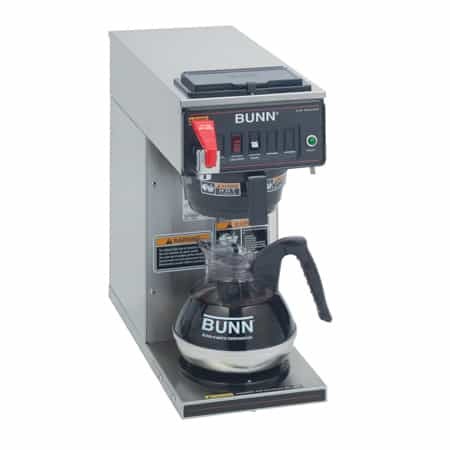 The BUNN FMD-DBC 3 is our number one selling instant cappuccino machine, and with good reason. 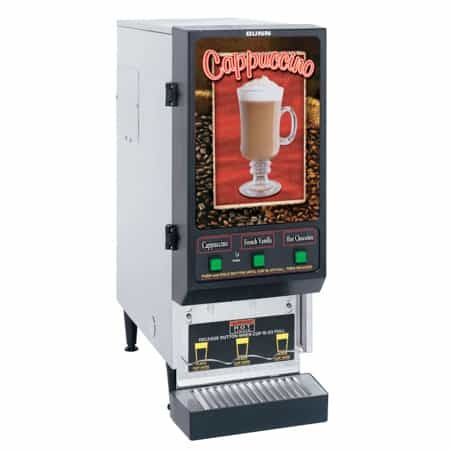 The machine allows customer three flavors from which to choose with easily-operated controls and a highly visible, lighted graphic display. The inside of the machine can be easily accessed for adding more cappuccino mix. 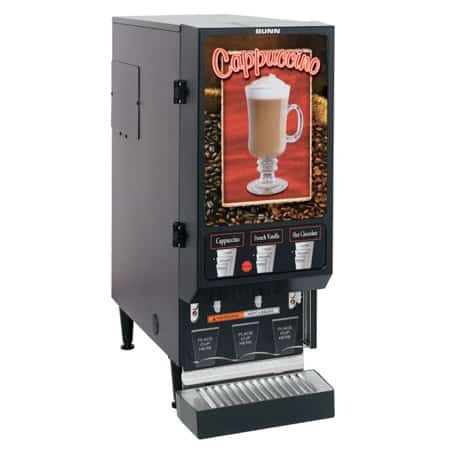 The BUNN FMD-DBC 3 Instant Cappuccino 3-Flavor Machine SET00.0197 can handle a variety of instant cappuccino flavors, instant soups or oatmeal. FMD’s variable speed motor allows for consistent dispensing of mix, while the high speed whipper motors mix drinks quickly and with froth. Hoppers have a capacity to hold 4 lbs of instant cappuccino mix. Easily replace empty bags of cappuccino mix by simply opening the front door. High clearance can accommodate up to 20 oz. cups. 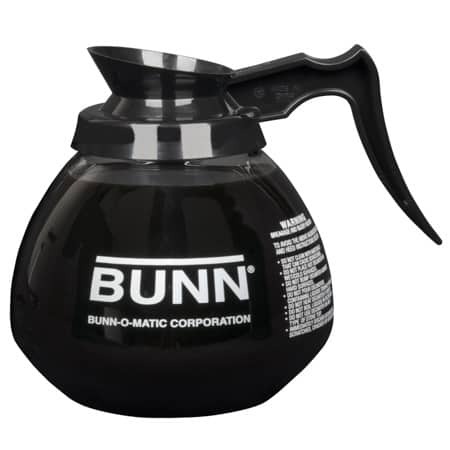 At 120 volts, the BUNN FMD can make approximately forty eight 12 oz. cups of instant cappuccino per hour. To add aesthetic interest, the lighted front graphics are attention-grabbing and can be easily changed for different displays. The exterior is black with a high impact plastic front door. Inside, the SET00.0197 is reinforced with steel housing.